I know most of our American readers will be celebrating Thanksgiving, so I thought it would be the perfect month to discuss grandparents since most people will be visiting them this month. Nowadays, grandparents are forming their own support groups to better understand and support each other about their grandchild’s diagnosis. This theme came to me as I was trying to explain to my parents why I was having my son evaluated. It also brought back so many memories about when I had my daughter evaluated. I remember how difficult and exhausting it was to explain to everyone what Asperger’s was and why I thought my daughter had it. My son was a bit more confusing because although he has great cognitive abilities he has speech difficulties and shares his sister’s sensory processing issues. This month has been an emotional rollercoaster for me, not because my son was diagnosed but more so because I am in awe of how little people still know about autism. More importantly, how many people think autism means just one thing or that all people that have been diagnosed can be summed up in one word. People on the spectrum are people. They are different. They each have their own weaknesses and their own strengths but don’t neuro-typicals? We often hear in the autism community people say the phrase, “If you have met one person with autism you have met ONE person with autism,” and it is true. Everyone in this world, autism or not, is unique. Together when we bring our own uniqueness to the forefront is when we will all be our best. Joining together provides the best outcome. This issue has something for everyone. 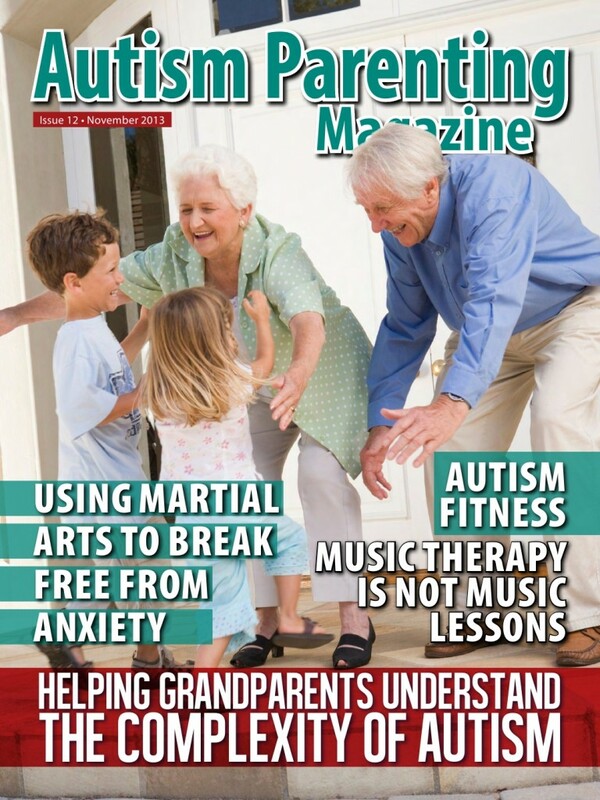 From great organizations and foundations that are helping the ASD community, to memoirs about real events to informative pieces about divorce and getting remarried, to a gift giving guide, to different therapeutic approaches, to discussing adoption – no matter where you child’s interests and uniqueness may lie you should be able to find something of value in this months’ issue. As always we bring you the information so you can be informed and make the best decision for your child. I’d like to wish you all a happy fall season.